A seemingly minor rule change made in 1999 is now creating major problems for the Australian grid -- and could actually bring it down. The change, implemented in 2001 by a now-defunct body called the National Electricity Code Administrator (NECA), relaxed frequency standards, a move that experts say is threatening grid stability. In the last three years, “We’ve started to see significant degradation of frequency control” due to NECA’s rule changes in establishing a Frequency Control Ancillary Service (FCAS) market, said Kate Summers, manager of electrical engineering at Melbourne-based Pacific Hydro. Prior to the change, generating units were required to limit their normal operating frequency to between 49.9 hertz and 50.1 hertz, with a "deadband," or area in which no remedial action by governor controls is needed, of between 49.95 hertz and 50.05 hertz. To create a single real-time market for frequency control as part of the rule changes, the normal operating band was increased to cover a range of 49.85 hertz to 50.15 hertz. More significantly, the deadband was extended to cover the entire operating range. This meant grid frequency in Australia could oscillate freely by several times as much as it had been able to previously, pushing out the primary controls of synchronous units on the system. At the time, the slack may not have mattered because most of Australia’s generating capacity was from large thermal plants with mechanical controls still operating with narrow deadbands. Starting around 2011, however, Summers believes an increasing number of plants were refitted with digital controls lacking the sensitivity to maintain frequency under the FCAS rules. The remaining generators with tight deadbands have increasingly been forced to control frequency rather than follow dispatch times. But this puts them at risk of being penalized for failing to meet dispatch targets, under what is known as a "causer pays" principle. Summers said the situation has been exacerbated by a gradual shift among regulatory staff from engineers to those with a more theoretical backing. Causer pays, for example, is based on following a linear dispatch from one point in time to another, but “in the beginning, all the engineers who did all the assessment on the power system always understood that you cannot do that perfectly,” she said. All generators would have been slightly off because they would have been doing frequency control, she said. Summers claims this has led to synchronous plant owners opting to ignore frequency control and follow dispatch targets only. Matters are not being helped by the fact that recent years have seen the grid’s inertia being reduced as thermal plants are replaced by renewables. In many ways, the FCAS rules are the opposite of what a grid planner would want under a transition to renewables. Even the gas turbines now being installed in South Australia are no longer able to ride through high rates of change of frequency, said Summers. 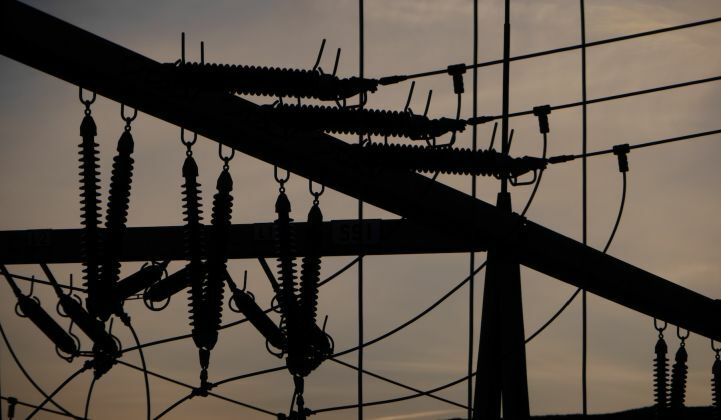 Australian energy market sources say the country’s National Energy Market (NEM) now has practically no primary frequency response, leading to load shedding and system oscillations as power stations hunt each other and try to restore stability. And there is concern that things could get worse, as was illustrated on Feb. 10, when the heat of Australia’s summer caused power consumption to peak in New South Wales. At around 5 p.m., a 408-megawatt gas turbine failed in Tallawarra and cut the grid frequency to less than 49.85 hertz. For the next 7 minutes, the frequency oscillated madly as synchronous units on the grid tried to restore balance. Fortunately, it seems the message is getting through to the Australian Energy Market Commission (AEMC), which, along with the Australian Energy Regulator, was set up in 2005 to replace NECA. In March, the AEMC initiated a review of the frequency operating standard. As part of the review, she said, AEMC is mulling the role of deadbands and automatic governor response in managing frequency in the NEM. “The potential implications of the various mechanisms need to be carefully evaluated, in particular the consequences for existing FCAS markets,” Rosser told GTM. The commission is also considering rule changes relevant to system security, including requests relating to the rate of change of frequency and system strength. Grid stability isn't the only reason to act quickly. There's also a financial incentive. The cost of frequency regulation in Australia rose from AUD $5 million (USD $3.7 million) in 2014 to AUD $65 million (USD $48.7 million) in 2016. At the same time, the share of non-synchronous renewable energy on the grid is growing daily. On April 25, South Australia logged an all-time daily record for wind output of more than 1.5 gigawatts. Being able to accept such levels of production requires a stable grid. And that's something that Australia can't guarantee, according to experts.